If your principal residence has appreciated significantly in value, you may be subject to capital gains tax when it's sold. If your gain will be too big to be sheltered by the federal home sale gain exclusion, you might consider a tax-deferred Section 1031 like-kind exchange. However, this strategy isn't for everyone, and executing it requires some proactive planning. Substantial tax savings can be reaped on the sale of a highly appreciated principal residence when you can combine the home sale gain exclusion and Section 1031 like-kind exchange breaks. To cash in, a former principal residence must be properly converted into a rental property; then it must be swapped for replacement property in an exchange, as described in the main article.This strategy can't be done overnight. Without explicitly saying so, IRS guidance on like-kind exchanges has apparently established a two-year safe-harbor rental period rule. A shorter rental period might work, but it could be challenged by the IRS. Time is also limited on the rental period. That is, a former principal residence can't be rented out for more than three years after you vacate the premises. 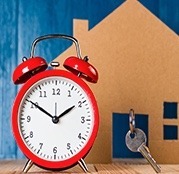 To qualify for the home sale gain exclusion, a property must have been used as the taxpayer's principal residence for at least two years during the five-year period ending on the exchange date. To qualify for this exclusion, you must meet both the ownership and use tests. In general, you're eligible for the exclusion if you've owned and used your home as your main residence for a period aggregating at least two years out of the five years prior to its date of sale. You can meet the ownership and use tests during different two-year periods. However, you must meet both tests during the five-year period ending on the date of the sale. Generally, you're not eligible for the exclusion if you excluded the gain from the sale of another home during the two-year period prior to the sale of your home. According to the IRS, the principal residence gain exclusion rules must be applied before the Sec. 1031 like-kind exchange rules when you're able to combine both breaks. The gain that's deferred under the like-kind exchange rules is also effectively subtracted from your basis in the replacement property. But that's OK, because you've successfully deferred what would have been a taxable gain upon the disposition of your former personal residence. To illustrate how this strategy works, suppose you and your spouse have owned a home for several years. Your basis in the property is $400,000. But, it's worth $3.3 million today, so you're rightfully worried about the tax hit when you sell. When the property is sold in 2021, you realize a $2.9 million gain on the exchange. That's equal to the sale proceeds of $3.3 million (apartment building worth $3 million plus $300,000 in cash) minus your basis in the relinquished property of $400,000. You aren't required to recognize any taxable gain, because the $300,000 of cash boot you received is taken into account only to the extent it exceeds the gain you excluded under the principal residence gain exclusion rules. Since the $300,000 of boot is less than the $500,000 excluded gain, you have no taxable gain from the boot. Your basis in the apartment building (replacement property) is $600,000 ($400,000 basis of relinquished former principal residence plus $500,000 gain excluded under principal residence gain exclusion rules minus $300,000 of cash boot received). Put another way, your basis in the apartment building equals its fair market value of $3 million at the time of the exchange minus the $2.4 million gain that's deferred under the like-kind exchange rules. Important note: Tax on the gain has only been deferred, not avoided. You'll owe tax on the $2.4 million gain when the property is eventually sold (unless you execute another like-kind exchange, which further defers the tax hit). However, if you hang on to the replacement property (the apartment building in the example) until you die, the deferred gain will be eliminated thanks to the date-of-death basis step-up rule.